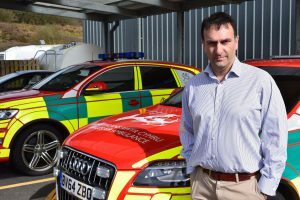 A well-regarded clinician and leader in pre-hospital medicine has taken charge of Wales’ flying medics service. 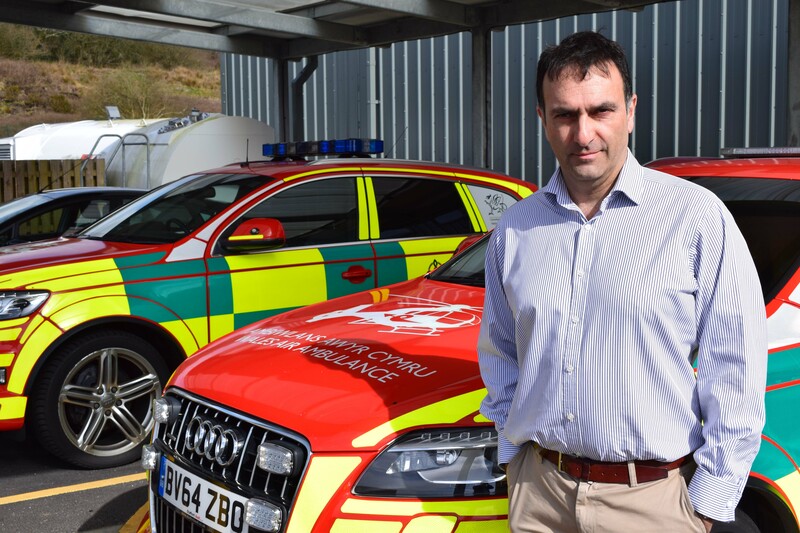 Professor David Lockey has begun his role as National Director of EMRTS Cymru, the Emergency Medical Retrieval and Transfer Service, also known as the ‘Welsh Flying Medics’. The service provides consultant-delivered innovative pre-hospital critical care across Wales, by air and by road. It is achieved via an important partnership with the Wales Air Ambulance (WAA) Charity, a charitable trust that relies entirely on the generosity and support of the Welsh public to help keep the helicopters flying. The Welsh Government-funded EMRTS Cymru medics are a part of NHS Wales. They are a highly trained team of consultants and critical care practitioners who, working with WAA, take the A&E to the patient, wherever they are in Wales. The service is hosted by Abertawe Bro Morgannwg University (ABMU) Health Board on behalf of NHS Wales. In his most recent role, Professor Lockey was the Clinical Director for Major Trauma at the Severn Major Trauma Network. He is also a consultant in Intensive Care Medicine and Anaesthesia in Bristol and is currently Chairman of the Faculty of Pre-hospital Care at the Royal College of Surgeons of Edinburgh. His pre-hospital care has been mainly as a Consultant and Research Lead at London’s Air Ambulance. He is also a trustee of London’s Air Ambulance charity. David has extensive civilian and military experience of pre-hospital medicine and has published widely and collaborated internationally in the field. As the transitional lead for the Major Trauma Network in South Wales, Professor Lockey is supporting the NHS Collaborative in Wales to establish the trauma network. Professor Lockey takes over from Dr Ami Jones who has led the service on an interim basis since April 2017, as well as continuing her role as a consultant anaesthetist in Nevill Hall Hospital and a Lieutenant Colonel in the British Army. Last July, she received an MBE for services to the military and the Wales Air Ambulance. Dr Jones will remain a consultant with the ‘Flying Medics’.